Indian archers bagged 3 medals at the Archery World Cup Stage 1 in Shanghai on Sunday. Deepika Kumari, Bombayla Devi and Laxmirani Majhi won the silver medal in the women’s category after losing to Chinese Taipei in the final. The team performed brilliantly on the path to the final beating strong teams China in the quarters and Germany in the semis. The Men’s team comprising of Atanu Das, Jayanta Talukdar and Mangal Champia bagged bronze medal beating Great Britain in the play off match. The third medal of the day came from the mixed team of Deepika Kumari and Atanu Das who defeated the South Korean team in the bronze medal play off match. In the qualification rounds, Deepika Kumari equalled the world record of 686/720 set by Olympic and world champion Ki Bo Bae of South Korea in 2015. Deepika finished with 2 medals and a quarter final appearance in the individual event. 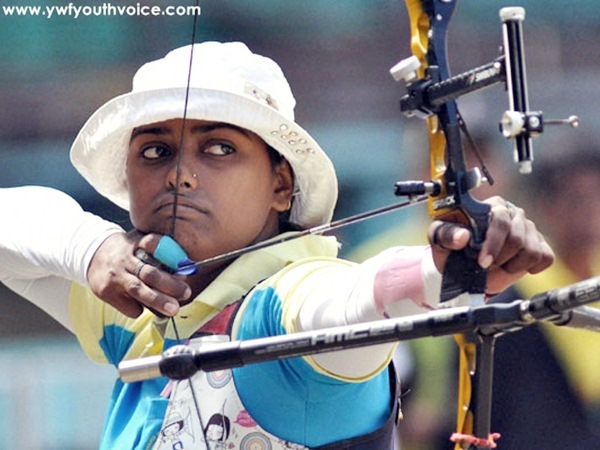 We hope these young talented archers will bring more medals for India in future.